Burke told Reuters he looked forward to working with Harnwell and Bannon "to promote a number of projects that should make a decisive contribution to the defense of what used to be called Christendom". 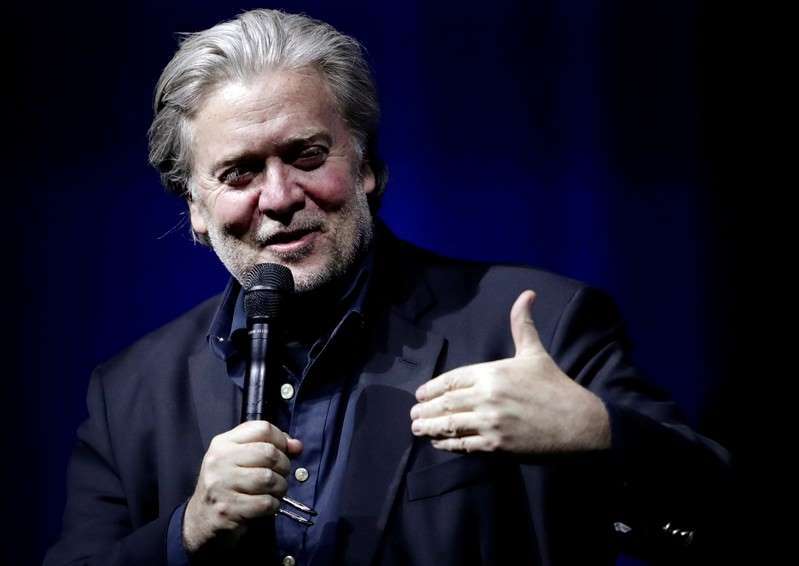 Bannon, who has visited the Institute's home at the 800-year-old Monastery of Trisulti and addressed the organization by video link, is helping to draw up the coursework for a training program for conservative Catholic political activists and leaders, Harnwell said. Harnwell said the Institute was setting up two training programs: a leadership course that Bannon is helping to design, which Harnwell described an "academy for the Judeo-Christian West", and the Cardinal Martino Academy, named after a former papal ambassador to the United Nations, which will promote pro-life Catholic social teachings. Since Francis' election in 2013, Burke has led the charge by conservatives who have sharply criticized the pope, saying he has left many faithful confused by pronouncements that the church should be more welcoming to homosexuals and divorced Catholics and not be obsessed by "culture war" issues such as abortion. In 2014, Pope Francis removed Burke as chief of the Vatican's Supreme Court, the Apostolic Signatura, and demoted him to become patron of the Order of Malta, a charitable organization.